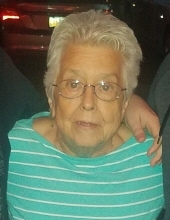 Townville- Barbara “Jean” Whitfield Cansler, 74, wife of Bobby Lee Cansler, of 520 Elhilow Lane, passed away, February 8, 2019, at Oconee Medical Center. Born in Oconee County, she was the daughter of the late Fred and Altha Wheeler Whitfield. Barbara was a homemaker and was a member of Oakdale Baptist Church. Barbara is survived by her loving husband, Bobby and son, Bobby Eugene Cansler; daughters, Sheryl Howe, Kristi Turner, and Amy Cobb; brother, Richard Whitfield; and 11 grandchildren and 13 great grandchildren. In addition to her parents, she is preceded in death by four brothers and three sisters. A funeral service will be held at 3 pm, Monday, February 11, 2019 at Sandifer Funeral Home Chapel. The family will receive friends prior to the service from 2 – 3 pm, Monday, February 11, 2019 at Sandifer Funeral Home. Burial to follow at Pleasant Hill Baptist Church Cemetery. The family is at their respective homes. Flowers are accepted or memorials in Barbara’s memory may be made to St. Jude’s Children Hospital, 507 St. Jude Place, Memphis, TN 38105. Condolences may be expressed online by visiting www.sandiferfuneralhome.com. To send flowers or a remembrance gift to the family of Barbara Jean Cansler, please visit our Tribute Store. "Email Address" would like to share the life celebration of Barbara Jean Cansler. Click on the "link" to go to share a favorite memory or leave a condolence message for the family.